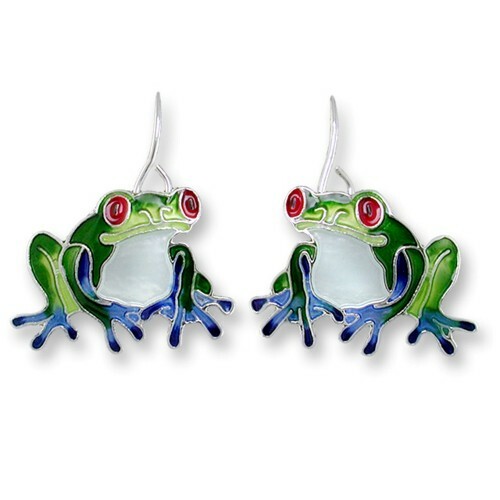 Silver-plated dangle earrings depicting frogs with uncertain expression .... Who knows what they are thinking! They are enamelled in bright shades of green, while the belly is pearly white. The eyes are of a bright red and blue feet.